August 1, 2016There isn't much better than a juicy pork chop. 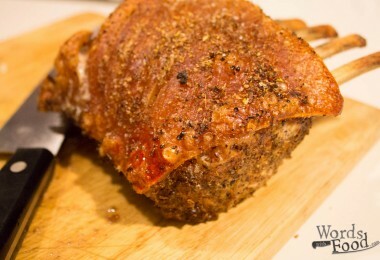 Unless, that is you cook it as a whole rack with a delicious crust and crispy crackling. 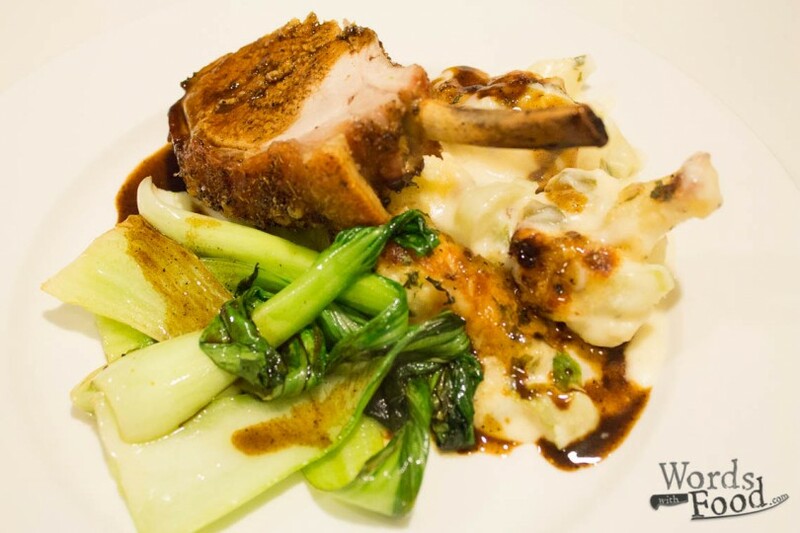 There isn't much better than a juicy pork chop. Unless, that is you cook it as a whole rack with a delicious crust and crispy crackling. Fennel, mustard and lemon create a delicious crust for this simple recipe. The dijon mustard makes it easy to stick the crust on and stay there during cooking. Toasting the fennel and mustard seeds before grinding gives a fantastic depth of flavour. You can serve this with any number of things. I like to have it with sautéed greens and some tasty cauliflower cheese gratin. In a small pan over a high heat, toast the fennel seeds until just fragrant. Remove and toast the mustard seeds until they start to pop. Gently crush all seeds in a mortar and pestle. Add the lemon zest and 1/2 a teaspoon of salt and a few grinds of black pepper. Brush the flesh of the pork (not the skin) with the dijon mustard and then gently coat with the spice mix. Rub a little salt directly into the skin and then a little of the spice mix also. Cook for 10 minutes in the oven, raised on a rack of you have one with the skin side up. Add the wine to the tray and cook for another 20 minutes, then lower the temperature to 150C. 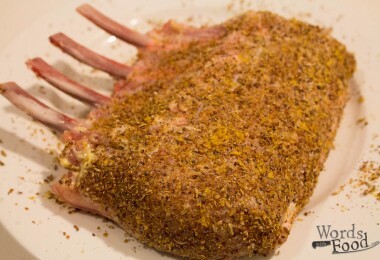 Cook for until the internal temperature of the rack is 65°C (30-40min). Remove, gently cover in foil and rest somewhere warm for 15 minutes before slicing.